Grey is a modernistic, fresh shade that has become more popular in interior design circles. It’s taking the shine from neutral shades and is now the “go to” color when no other color will do! Basically, grey is much like the staple item you need for your home or wardrobe; it’s a color you can do plenty with and it’s good to have around. 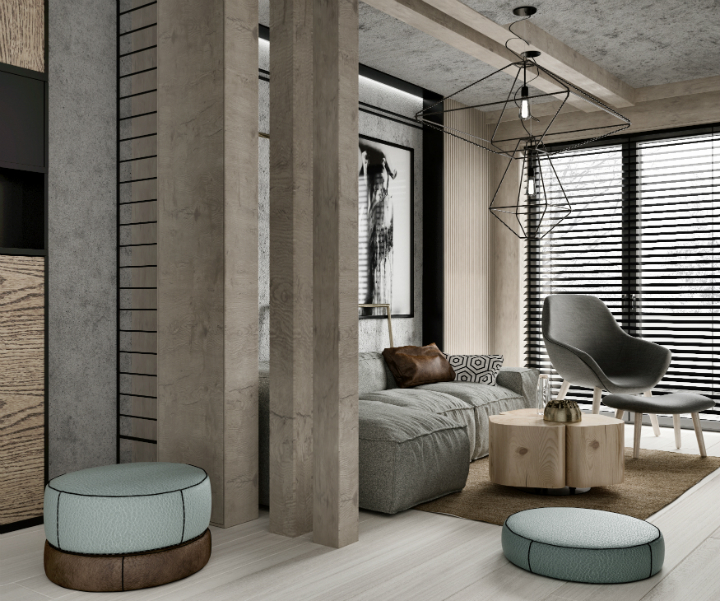 This home’s interior design by TROOMONO, is a great example of the color grey and how adaptable it is to any setting. Take the living room area. The dynamics and different levels of interior design ingenuity are amazing. 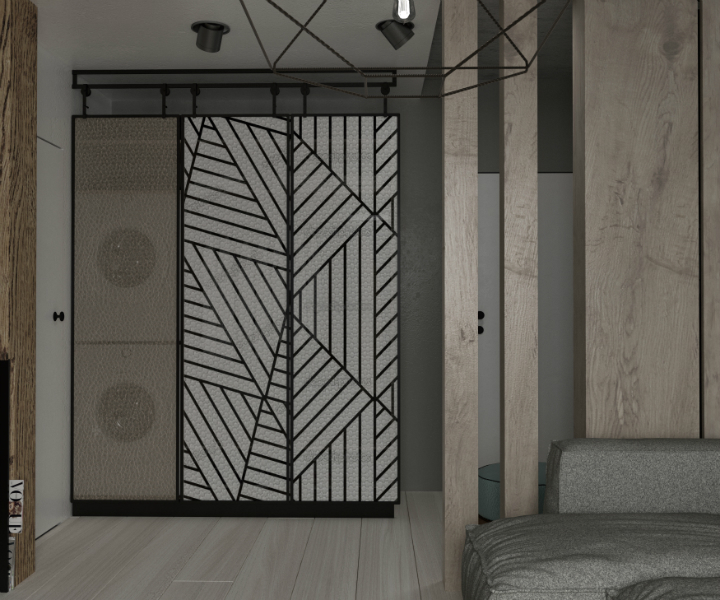 Various shades of grey are intertwined with numerous textures, furnishings, and design concepts. The large cushioned modular sofa bears resemblance to a cushy cloud. The modernistic décor is built around comfort and style. The solid elongated rectangular columns, floor to ceiling blinds, and multi textured walls brilliantly complements the stylish furnishings. 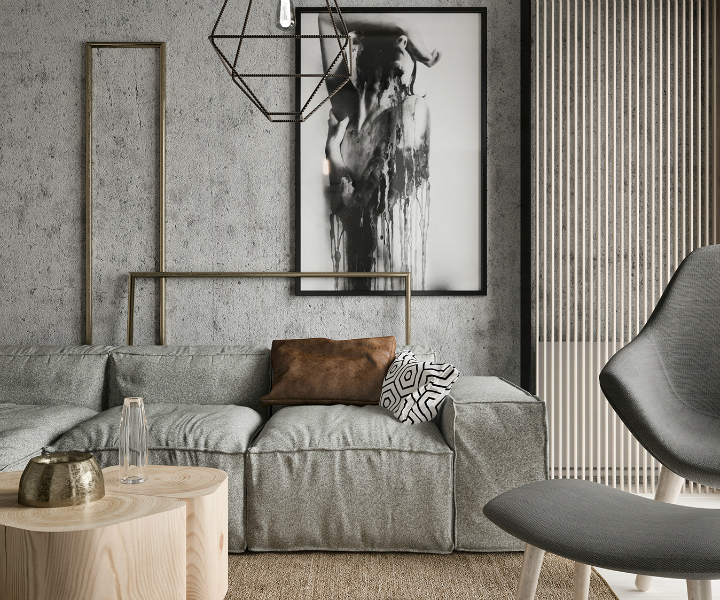 The shades and textures of grey mixed with subtle neutrals like beige and natural wood, maintains the cool ambiance and sophisticated overtures. The round hassocks add just the right amount of brilliant color and balances out the more neutral tones. This home has an interesting layout. It has various twists and turns that lead to various rooms unexpectedly. This has a lot to do with the mix of assorted textures. For example, the kitchen suddenly appears around the corner from a metal type structure. 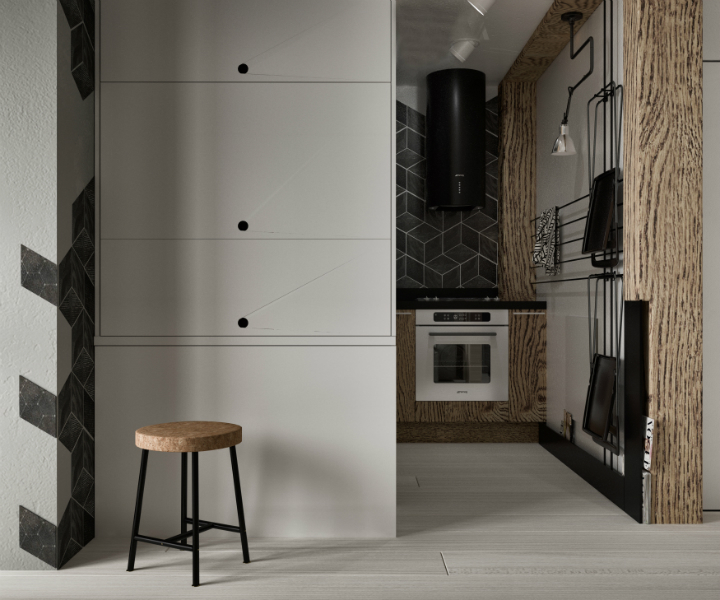 However, the kitchen is designed in a style of pine wood, which is a completely different texture. It’s in complete contrast to the cutting-edge soft grey structure in the forefront. The kitchen backsplash is a work of inspiration. 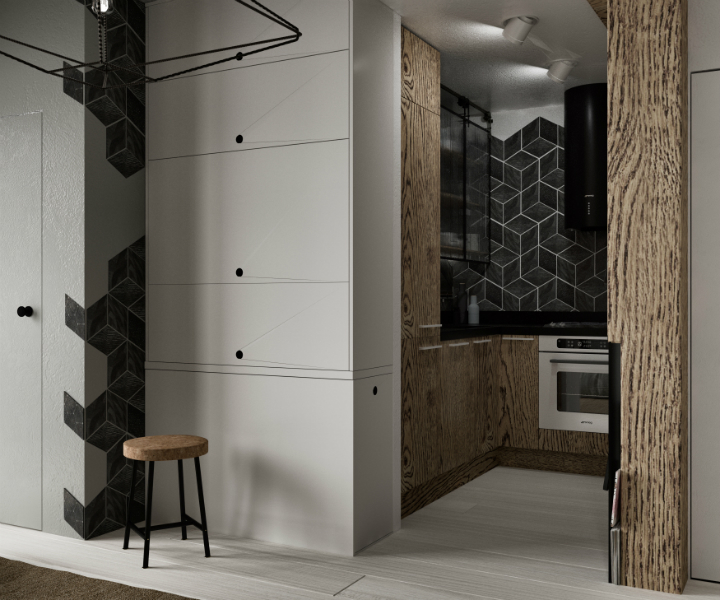 The textured black tiles create a 3-D effect. It’s amazing and intriguing to look at. 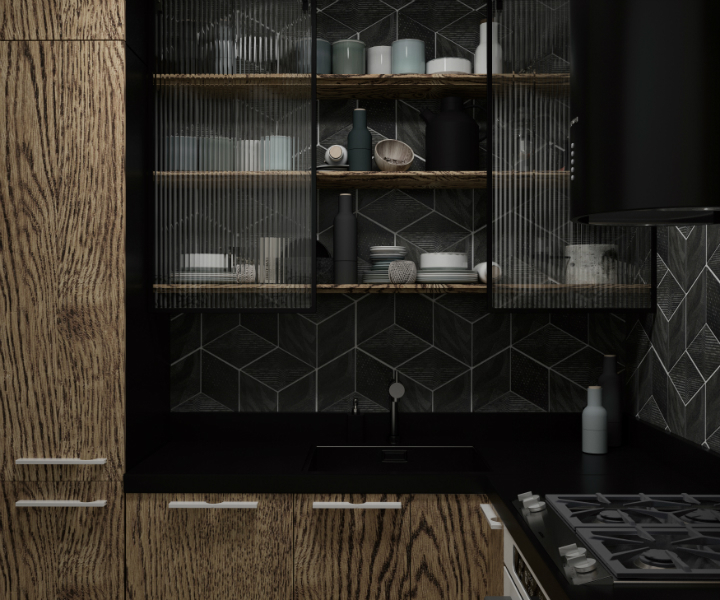 The contrast of the backsplash with the ingrained wood, transparent shelves, and Shaker style chair storage, is awesome. 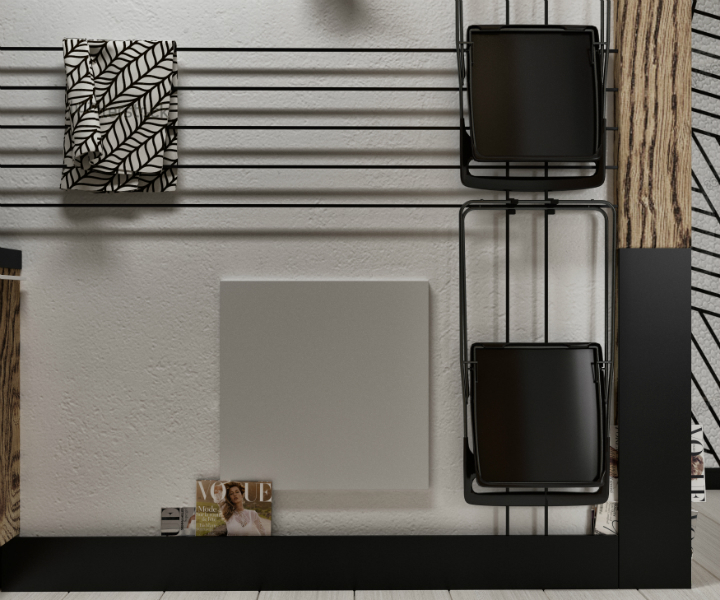 It’s a spectacular concept that takes more than a simple love of hues and textures to create. It takes a keen knowledge about the texture of the materials used, their properties, and how they function in busy areas in the home like kitchens. 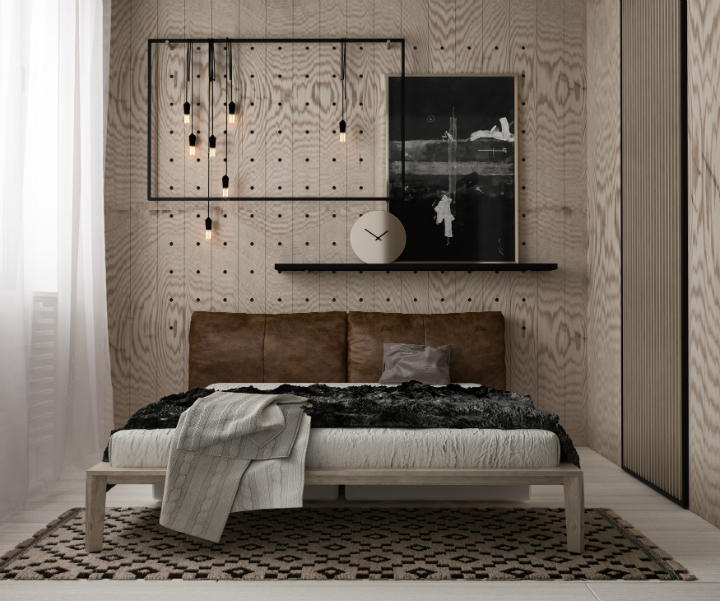 The bedroom is unassuming, decorated in shades of neutrals with greyish undertones. It’s simple but complex. Once again, a play on textures stands out here. Long transparent drapes, a plush accent rug, and fine accents like wall lighting, are a fantastical arrangement. It’s simply unique in every way. Grey presents itself as the ideal backdrop to any style from rural designs to modernistic settings. Any furniture style works well with this charismatic shade. 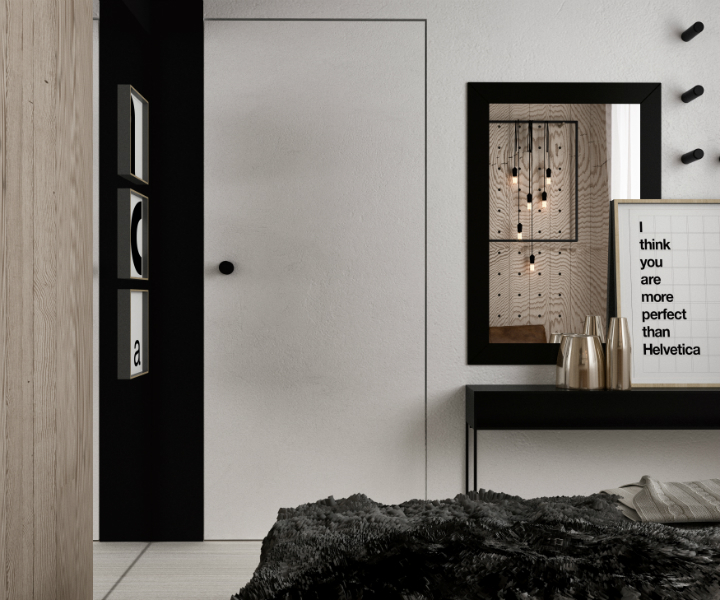 Grey will match any color whether milder, more tranquil grey shades or bolder, more magnetic hues, grey works wonders. Just look at this apartment and see for yourself!